I have read your message with great interest.I have also sent the Executive Summary of the investmentoffers which you enclosed for His Eminence consideration and he is highly impressed. Honestly in this joint venture relationship,all the investment Funds shall be provided by His Eminence while you receive the funds on 100% trust and manage the funds on behalf of His Eminence on confidential basis. Nobody should know that His Eminence is your principal partner. By the direct instruction of his eminence sheik Abdulrahman Ali, I have been ordered to prepare JV agreement for your review. It is important that you send your personal details especially your name and Address to be used in preparing the Joint Venture Agreement stating the procedure and meeting place to hand over the funds after signing the original copies of the Agreement. 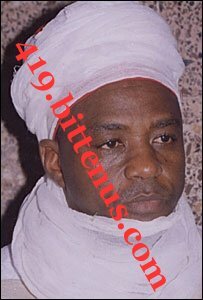 HIS Eminence, Sheik Abdlrahman Ali, is presently in exile in Accra Ghana where he escaped for safety during the war. traveling Documents but as a refugee because he kept some high volume of money with a Security company. Unfortunately all his investment in London is considered to belong to Qaddafi. It is important that you attend a joint venture meeting in Accra Ghana to meet His Eminence as a partner so that he can hand over the total funds to you on trust. This can only be possible after he has seen you and swear an oath of brotherliness with you. We could get down and structure things properly during the meeting. Kindly notify me your ability to honor this meeting in Ghana. If you accept, then send me your travel schedule to enable me arrange appointment for this meeting and also inform you the details. relationship with you. Sorry my telephone is not yet registered to receive international calls. Attached is my picture for you to know who you are going to have everlasting business with. Please send yours Also for His Eminence will be glad to know how you look.